This post compiles reaction to health-related measures in the Federal Budget, regarding the social determinants of health, Aboriginal and Torres Strait Islander health, climate change, public health and prevention, healthcare reform, mental health, aged care, rural and remote health, the NDIS, and medical research. It includes statements from 39 organisations. 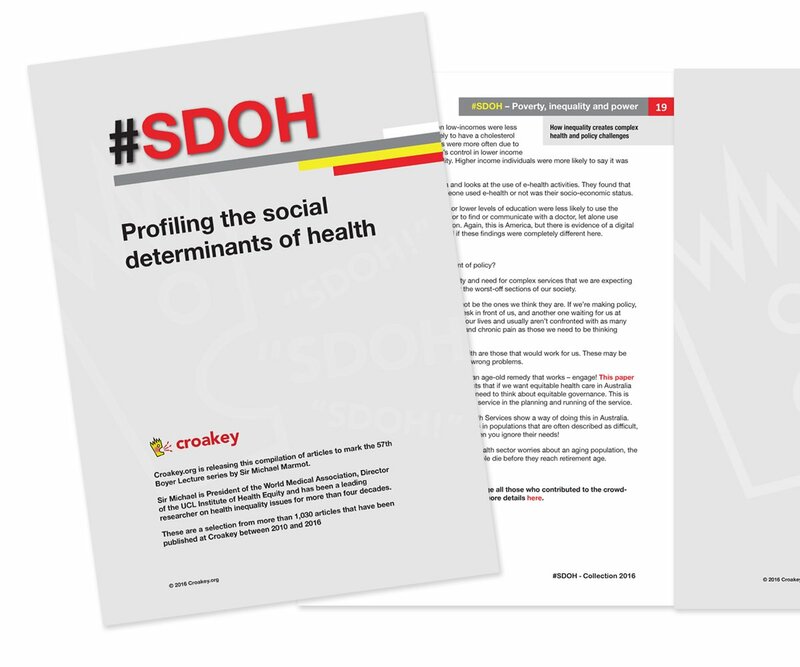 While there is positive news for some areas (notably aged care, mental health and rural health), all the signs are that the social determinants of health will worsen for many people. And don’t mention climate change (the Treasurer certainly didn’t). Also absent is a vision for public and preventive health, while funding for human rights initiatives is slashed, and National Congress has issued a devastating critique of the implications for Aboriginal and Torres Strait Islander people (published in full below). Compare and contrast the reactions from the Indigenous and social sectors with those of the health and medical sectors in the post below. 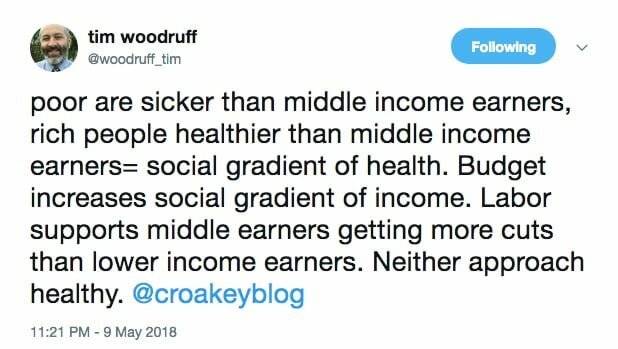 Such an analysis might suggest that one reason governments are slow to act on the social determinants of health is the failure of the powerful health and medical lobby to hold them to account for this. (And the same might be said about the health sector’s almost universal failure to call out the lack of action on climate change in their budget responses). So many elements of this Budget will make life harder for people who are already doing it tough – and yet the overwhelming sound from health organisations is of grateful applause (with a few notable exceptions). Perhaps it’s just that the sector has been starved of forward-looking, equity-based policy making for so long that it’s a case of being grateful for small mercies. 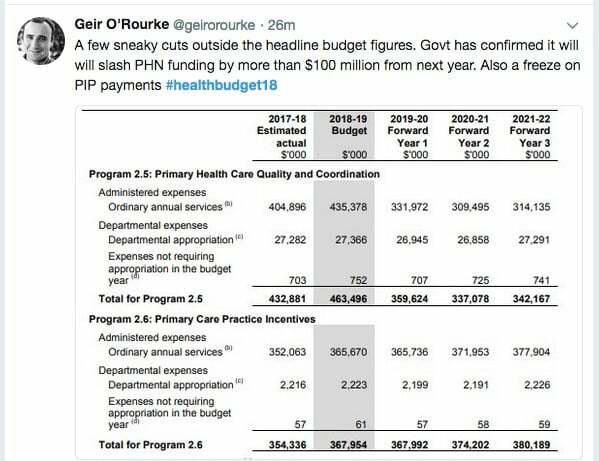 The Health budget papers are available here and are covered by Jennifer Doggett in this excellent analysis: Public relations trumps policy. ACOSS said the personal tax cuts would not help the majority of people on low incomes, and will deprive governments of the ability to fund essential services. “No sooner have we seen five minutes of budget sunshine then the Government has committed itself to seven years of income tax cuts. This is not a disciplined and responsible approach to budgeting. There is a seven year plan for tax cuts, but where’s the seven year plan for reducing poverty among adults and children, guaranteeing growth funding for health care, and closing the gaps in essential services such as mental and dental health and affordable housing? 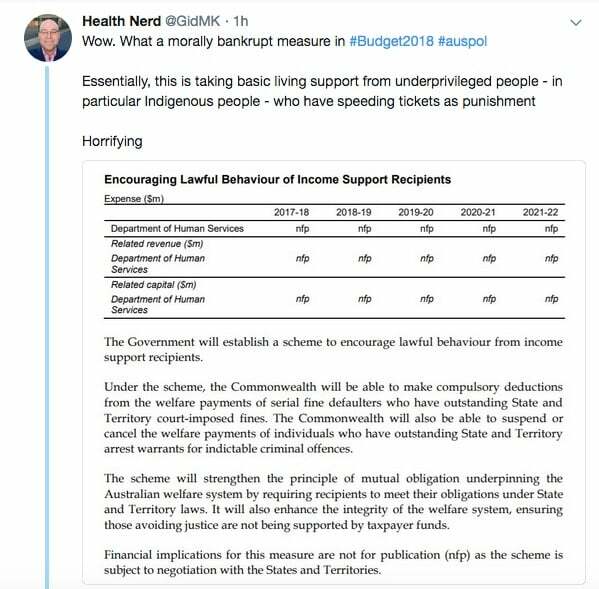 “It is shameful that the Government has chosen to ignore the overwhelming consensus to help people on the lowest incomes, by increasing the woefully inadequate Newstart and student payments, as a matter of priority. “Instead the Government has chosen to give away personal income tax cuts for people including the highest income-earners in the country. The maximum benefits of the new tax offset ($11 a week) will go to people earning $48,000 to $90,000, not low income-earners. Higher income earners will be the beneficiaries of lifting the $87K threshold to $90K taxable income. The lowest 40% of individuals by income will receive nothing or very little, up to $4 per week. This first stage of tax cuts alone will cost the budget $13 billion. “The seven year tax plan hands out increasingly generous tax cuts that will disproportionately benefit higher income-earners. These tax cuts, on top of the corporate tax cuts, will clearly deprive future governments of the revenue we need to guarantee essential services. There are some welcome measures to stem tax avoidance, such as refusing tax deductions for vacant land, modest measures to tackle the use of trusts for tax avoidance purposes, and action to limit profit shifting by multinational corporations. Measures on the black economy are also welcome. However, these measures go nowhere near compensating for the lost revenue from the 7 year tax plan. “The planned tax cuts and the arbitrary revenue cap of 23.9% to GDP place us in a damaging fiscal straightjacket. Australia is already one of the lowest taxing countries in the OECD, and with tax cuts for years ahead, we clearly could not guarantee essential services and a decent safety net to meet community needs. Tax cuts risk extending user pays for essential services leading to greater out of pocket costs. “The increase of 14,000 home aged care packages is welcome, and starts to deal with a backlog of 100,000 packages. The focus on quality and transparency is also welcome. However, this aged care package highlights the yawning gaps that remain in essential services, and tonight’s announcement only begins to fill those gaps. “The $1B increase in hospitals funding is also welcome, but only restores funding cuts that would have otherwise commenced in 2020. Similarly, the Medicare rebate freeze is ending. We cannot afford to keep taking one step forward and another step back in health funding. Adequate growth funds must be guaranteed and a stronger revenue base is the only way to achieve this. “Other more modest measures that we welcome include the remote housing funding for the Northern Territory ($550 million), a small boost mental health services and continuity of support services for some people not eligible for the NDIS ($92 million). “Commitments in education, including schools and early childhood funding, are also welcome but do not give the assurances we need that public schools and preschools will be adequately funded into the future. “The harshest change in this budget affects some of the most vulnerable people in the community: new migrants lacking paid work, who will be left without income support for the first four years. This is not the way to welcome people to this country and help them contribute to its future prosperity. “There are small changes to one of the harshest existing schemes, the Community Development Program for remote Indigenous communities, including a new wage subsidy scheme and slight reduction in the hours they need to work for their benefits, but the changes do not restore incomes to the thousands of people losing income support when they are penalised under this scheme, and some could make matters worse. “The proposal to deduct State Government fines from social security payments without their agreement is unnecessary, intrusive, and could leave many people homeless. The ball is in the States’ court to reform the system of court-ordered fines so that people are no longer imprisoned because they can’t afford to pay. In this Budget, Brotherhood of St Laurence executive director Conny Lenneberg welcomed additional places for the highly successful Transition to Work program which prepares young people for jobs in their communities. Ms Lenneberg said increasing Newstart is not just about being fair – it makes good economic sense. “Newstart is so utterly inadequate – as little as $38.98 a day – that many people on the payment can’t afford to properly conduct their job search. They are struggling to cover the basics of life. The truth is that there are costs involved in looking for work: maintaining a mobile phone, paying for transport and having presentable clothing to attend interviews. Homelessness Australia labelled the Federal Budget ‘short-sighted and heartless’, after it was revealed there will not be any extra funding for either social housing or homelessness services. This is despite the number of people needing homelessness assistance increasing year-on-year. The budget shows that federal homelessness and housing funding will drop to $1.54 billion next financial year, the lowest level in a decade. HA’s analysis of the Budget papers shows that there has been a 16 per cent decline in federal spending on housing and homelessness over the five years to 2018-19. “It’s short-sighted and heartless to neglect homelessness services, and to let ageing social housing stock dwindle. We’ll be forced to turn even more people away, many of whom will end up in our hospitals, prisons and mental health facilities; when all they need is a home,” said Jenny Smith, Chair, Homelessness Australia. National Congress and its members are dismayed that the Federal Budget has once again failed to significantly address many of the key concerns of Aboriginal and Torres Strait Islander communities, organisations, and peoples. First Peoples have come last. Although the Government has listened to a few of our concerns regarding the Community Development Program, major issues largely remain unresolved in this budget. The harsh and discriminatory penalty system is largely intact. In fact, penalties have worryingly been strengthened in cases involving participants who need the greatest amount of support. For this reason alone we renew our call for the CDP to be replaced with a wage-based program which provides meaningful employment and training for our peoples. In claiming that it will provide $550 million in new funding for remote housing in the Northern Territory, the Government has attempted to hide its abandonment of a national housing strategy. The National Partnership Agreements on Remote Indigenous Housing have expired. Prospects of renewal are slim, particularly if negotiations with state and territory governments are unsuccessful. If Aboriginal and Torres Strait Islander peoples are forced to live in insecure, overcrowded and unsafe homes, or are homeless, the barriers to economic empowerment are overwhelming. The Federal Budget fails to address the shameful over-incarceration of Aboriginal and Torres Strait Islander peoples. We make up 3% of Australia’s population, but 27% of its prisoners. If anything, the Government’s callous disregard for our basic human rights to equality and quality health, education, housing and employment opportunities makes this problem worse. These factors are also responsible for child removal rates being ten times greater than for non-Indigenous Australians, which threatens to create a new Stolen Generation and perpetuates intergenerational trauma. government f unding for civil cases. 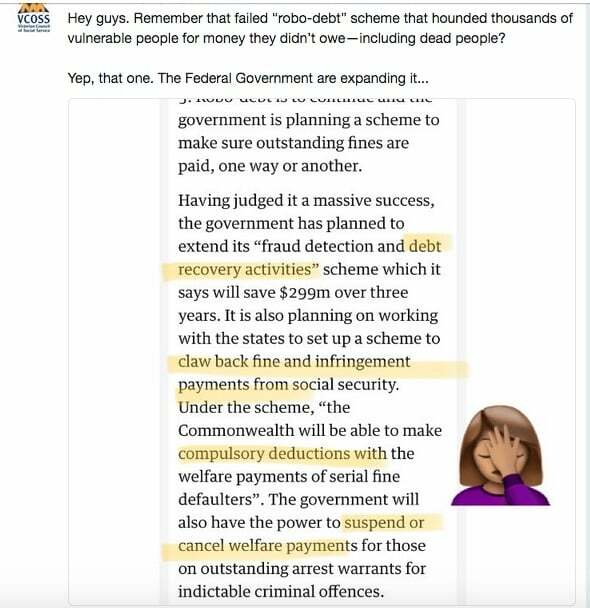 As Centrelink breaches, inability to repay fines and housing tenancy disputes become more commonplace due to Budget measures, thedemand for legal services will only increase and these inadequacies are likely to becomemore severe. widen the life expectancy gaps or shift responsibilities to state and territory governments. initiatives to address the negative impacts of the European invasion of Australia. surplus evident in their own self-interest. 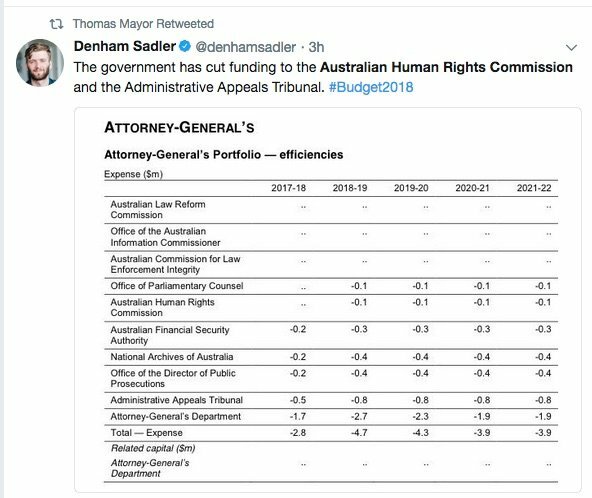 The recommendations, including introducing national justice targets, support for justice reinvestment and Aboriginal and Torres Strait Islander Legal Services to deliver essential legal help, did not form part of the Budget. Nor did Closing the Gap, despite a year-long refresh agenda. 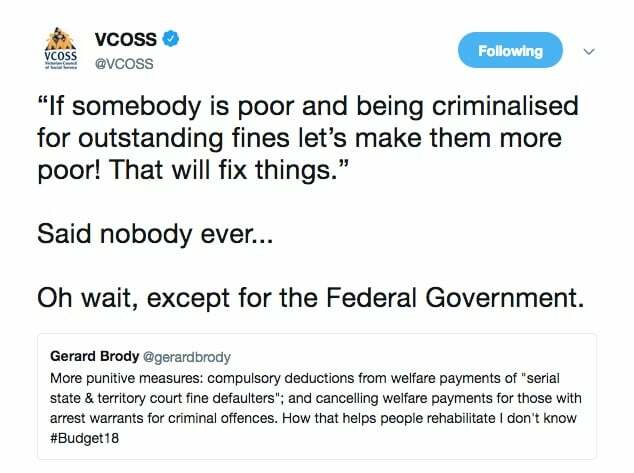 Yet stringent measures deducting welfare payments from people with unpaid fines and outstanding warrants have been introduced. 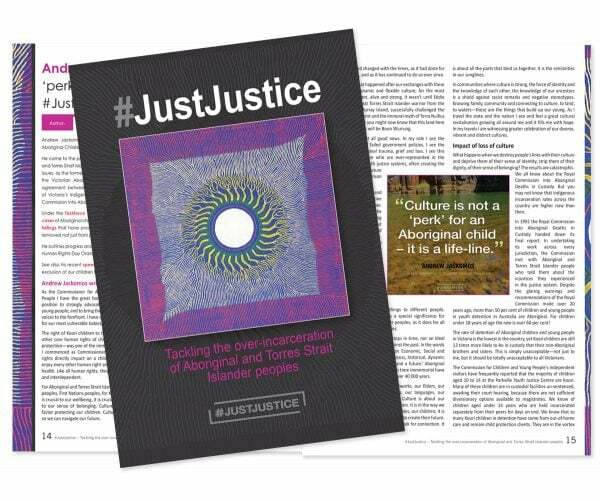 These measures come in the face of increasing rates of over-representation, and a demonstrated connection between poverty and imprisonment for Aboriginal and Torres Strait Islander people. In addition, a number of Indigenous people accessing Aboriginal and Torres Strait Islander legal Services relate to housing and tenancy issues. Despite this, National Partnerships on Remote Housing remain in doubt in WA, Qld and SA. The concerning welfare measures include extending a punitive demerit point system to Community Development Program (CDP) participants. This cuts and suspends welfare payments for weeks at a time, risking further deep financial disadvantage for a very vulnerable group. Since the introduction of the CDP, 300,000 financial penalties were applied, despite having only around 33,000 participants. 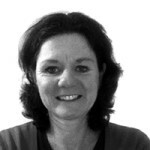 Despite the clear failures of the CDP to date, only minor improvements were introduced, including a new wage subsidy scheme and slight reduction in the hours participants need to work for their benefits.This flies in the face of constant calls for community-led solutions with a holistic, trauma-informed approach. “The Government has not acted on their commitment to “do things with us, not to us”, once again ignoring the solutions that have been put forward to them by Aboriginal and Torres Strait Islander representative bodies in the 2016 Redfern Statement,” concluded Ms Axleby. The National Aboriginal Community Controlled Health Organisation (NACCHO) has welcomed the Budget announcement of a new needs based funding formula model for the Indigenous Australians’ Health Program (IAHP). Although this new model requires further refinement, feedback and work. NACCHO Chair Mr John Singer believes ‘that funding certainty is critical to ACCHSs achieving good health outcomes. Mr John Singer called on the government to ensure there was no adverse impact on our Model of Care. NACCHO welcomes the 5-year funding agreements and grandfathering arrangements under this new model. NACCHO welcomes the new money for preventing and treating complex chronic health conditions such as Eye disease ($34.3 million) hearing loss ($30.0 million) and crusted scabies ($4.8 million). Acknowledges the new investment in remote renal services and infrastructure with a MBS item for dialysis. Also, the $105.7 over four years to deliver additional residential aged care places and home care packages in remote Indigenous communities. Meanwhile, the Indigenous health funding announcement included the news that up to $23 million will be provided to the Western Desert Nganampa Walytja Palyantjaku Tjutaku Aboriginal Corporation for continued renal support activities in remote Australia, including expansion into eight new communities. The Australian Indigenous Doctors’ Association (AIDA) welcomes the news of increased government investment into Aboriginal and Torres Strait Islander peak workforce organisations of $33.4 million over four years from 2018-2019. We take this as a tangible measure of the genuine commitment of the Turnbull Government to work with us to build the Aboriginal and Torres Strait Islander health workforce. As the only professional association for both Aboriginal and Torres Strait Islander doctors and medical students, AIDA is committed to improving the health of our people and enriching the health profession by growing the numbers of Indigenous doctors. This renewed funding certainty will allow AIDA, through our strong relationships with key stakeholders, to keep supporting efforts to increase the cultural safety of mainstream medical education and health care systems. AIDA encourages the Turnbull Government to maintain its stated commitment to work in a consultative and collaborative way with Aboriginal and Torres Strait Islander Peoples. We remain concerned that there is no commitment in the 2018/19 Budget to adequately resource the Implementation Plan for the National Aboriginal and Torres Strait Islander Health Plan 2013-2023. AIDA maintains that this is the roadmap for the government to work with us to genuinely redress health disparity and deliver culturally appropriate and needs-based health care to Aboriginal and Torres Strait Islander Peoples. We encourage the government to commit to implementing the social determinants of health framework into future Indigenous health policy development. AIDA also remains concerned about the lack of targeted funding commitment around Closing the Gap. We maintain that measureable targets, accountability mechanisms and appropriately funded policy design and program delivery are essential to closing the gap on Indigenous disadvantage. With this renewed funding certainty, AIDA will continue working towards our vision for an Australian health care system that is free of racism, and one that affords Aboriginal and Torres Strait Islander Peoples the health care they have a right to expect and receive. Reconciliation Australia acknowledges the Federal Government’s continued investment in services and programs for Aboriginal and Torres Strait Islander peoples. However, we are concerned that a crucial opportunity to reset the Closing the Gap strategy will be lost, given the absence of substantial needs-based measures to realise the strategy in the 2018-19 budget. The budget includes spending on measures that will have a modest impact on areas relevant to improving life outcomes for Aboriginal and Torres Strait Islander people. 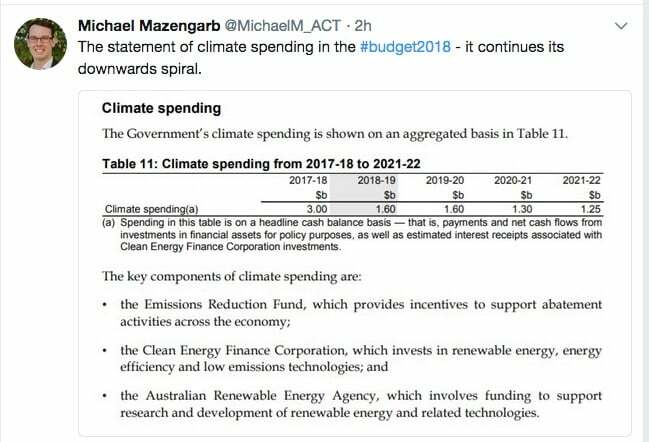 However, the budget papers delivered this evening do not outline a coherent and comprehensive funding plan to deliver the Federal Government’s overhaul of the strategy, due in October 2018. In February, the Close the Gap campaign’s 10-year review said the Closing the Gap strategy had been “effectively abandoned” after $534 million in funding was cut from Aboriginal and Torres Strait Islander programs in 2014-15. Despite a decade of consistent advice, key recommendations to address the increasing disparity between Aboriginal and Torres Strait Islander people and other Australians are yet to be funded. For example, the National Aboriginal and Torres Strait Islander Health Plan Implementation Plan has not been funded. Also, the complementary National Strategic Framework for Aboriginal and Torres Strait Islander Peoples’ Mental Health and Social and Emotional Wellbeing 2017-2023 needs an implementation plan and funding as appropriate. Additionally, there is no funding support to tackle the increasing rate of incarceration of Aboriginal and Torres Strait Islander people, despite recommendations from the Australian Law Reform Commission and the Change the Record campaign. Reconciliation Australia CEO Karen Mundine said closing the gap was an agreed national priority, yet the budget failed to allocate the funds necessary to realise this commitment. “Closing the gap is a national priority. Now is the time to invest in outcomes for Aboriginal and Torres Strait Islander people – to set this strategy up to make real progress,” she said. In addition to needs-based funding, Ms Mundine said an effective approach to closing the gap requires partnership with Aboriginal and Torres Strait Islander peoples to develop comprehensive, preventative, long-term approaches to address the issues affecting their communities. “We welcome the $33.4 million commitment to Aboriginal and Torres Strait Islander health professional organisations to grow the Aboriginal and Torres Strait Islander health workforce, as recommended by the Close the Gap campaign,” she said. Allied Health Undervalued in 2018 Federal Budget: Improving Aboriginal and Torres Strait Islander health and wellbeing must remain a national priority. Action is needed to improve outcomes for Aboriginal and Torres Strait Islander people. Those actions must involve: a coherent strategy to tackle the causes of disadvantage and enable our people to achieve their potential; governments showing the stamina to address issues that come from generations of trauma and disadvantage; and commitment to work with, hear and respect Aboriginal and Torres Strait Islander people and the knowledge they bring to issues that shape their lives. IAHA now has a commitment of funding for a further four years. We also have a commitment of $1.55M per year in additional funding to share with our fellow Aboriginal and Torres Strait Islander health workforce peak organisations: AIDA, CATSINAM and NATSIHWA. We have proven our approaches deliver results and build the Aboriginal and Torres Strait Islander health workforce. • Extra commitment to suicide prevention, additional mental health care. A culturally safe and responsive skilled workforce is critical in working with Aboriginal and Torres Strait Islander people and communities. To ensure the workforce has the skills needed to deliver results, strategies and solutions need to be developed and delivered in partnership with IAHA, our members and communities. “IAHA’s success thus far in developing and implementing innovative allied health career pathway programs and supports, providing leadership opportunities and development, mentoring, in partnering and in promoting person-centred, multidisciplinary care needs to be leveraged further. We, therefore, welcome a stronger partnership with Government to enable this success to continue and grow”, said Ms Murray. IAHA welcomes the $550M allocated to the Stronger Rural Health Strategy and the aim of ensuring the right health professionals are available when and where they are needed. However, IAHA remains concerned and disappointed that acute shortages in rural and remote allied health services have been largely ignored, and particularly that there appears to be almost no gain for Aboriginal and Torres Strait Islander communities who have little or no access to allied health services at present. The National Aboriginal and Torres Strait Islander Health Workers Association (NATSIHWA) welcomes the 2018 Australian Government budget announcement that signal growth in funding for Aboriginal and Torres Strait Islander workforce organisations. “We thank the Australian government for the continued support of NATSIHWA. This funding will not only enhance the sustainability of our profession, but will also lead to opportunities that promote the recognition and professionalism of Aboriginal and/or Torres Strait Islander Health Workers and Health Practitioners,” said Ms Josslyn Tully, NATSIHWA Chairperson. 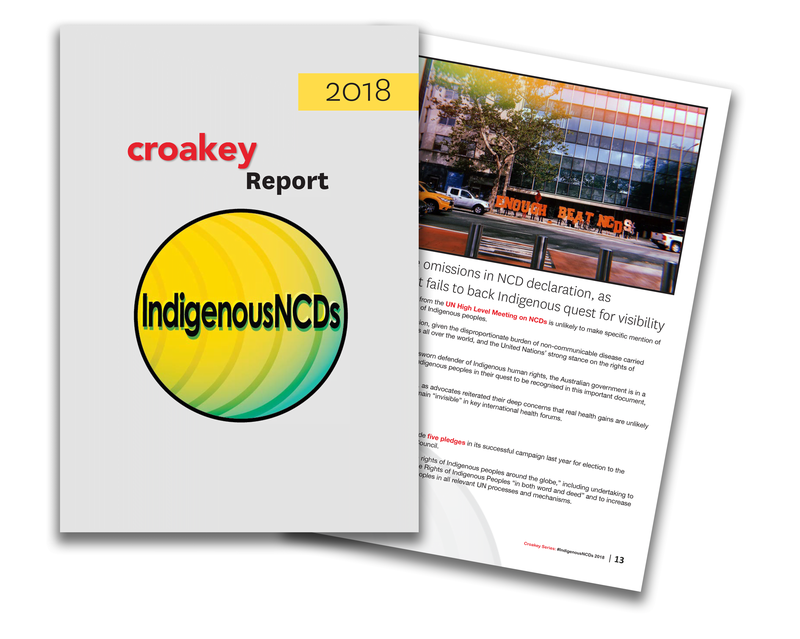 key strategic priorities, including the development of a National Mentor program to support Aboriginal and/or Torres Strait Islander Health Workers and Health Practitioners. This is a very exciting time for our members”, said Mr Karl Briscoe, NATSIHWA CEO. “NATSIHWA looks forward to progressing these initiatives with our membership, which includes over 750 full members who are qualified Aboriginal and/or Torres Strait Islander Health Workers and Health Practitioners across Australia,” said Ms Josslyn Tully. The Budget continues to fund the health care systems, but is woefully short on preventative health measures to keep Australians from becoming sick in the first place, according to PHAA Chief Executive Michael Moore AM. 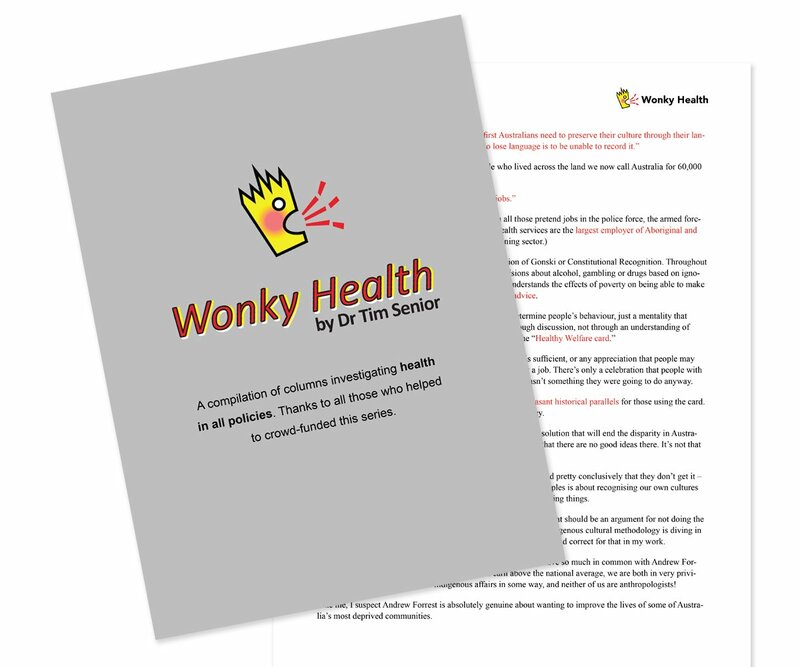 “Despite repeated advice – and repeated commitments in principle – the Government is still not developing a preventative health focus for our health system,” said Mr Moore. “But Australia’s people will continue to experience avoidable chronic disease in the years ahead. People who should be destined to live healthy lives will not because of the preventable diseases they will suffer. While we need to look after the aged populations and those requiring medical treatment, we need to focus even more heavily on the younger generation we are failing,” Mr Moore said. Mr Moore also acknowledged Minister for Aged Care and Indigenous Health Ken Wyatt for securing a number of important initiatives in Indigenous health, Australia’s most agonizing continuing health crisis. – Improving physical activity with a $50.4m investment to get people moving and expanding other physical activity. – Funding to expanding four forms of vaccinations, including Pertussis, and a targeted program to address low vaccination rate areas. Mr Moore also welcomed the government’s focus on quality in aged care. The AIVL has welcomed some additional funding for drug treatment in tonight’s Federal Budget but is disappointed that other key harm reduction measures have missed out. AIVL is calling on the Australian Government to abandon its planned trial of drug testing for welfare recipients and redirect that funding into frontline services in the wake of the Budget. AIVL is also calling for a stronger focus on people exiting custodial settings to strengthen Australia’s efforts under the new national blood borne virus (BBV) and sexually transmissible infections (STI) strategies. “While the Government will provide $40M over 3 years to expand GP services ($20M) and provide additional funding for residential rehabilitation services ($20M), further investment will be required to ensure that the alcohol and other drug (AOD) service system is able to meet existing demand. “Just yesterday, the Government reaffirmed its commitment to implementing a trial of drug testing for welfare recipients in its majority report for the inquiry into the Social Services Legislation Amendment (Drug Testing Trial) Bill 2018. However, the inquiry report is filled with expert testimony urging the Government not to proceed. We would like to see the funding that has been allocated for drug testing of welfare recipients redirected into frontline services,” explained Melanie Walker, Chief Executive Officer (CEO) of AIVL. 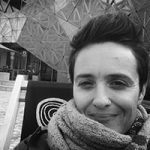 “There’s a full suite of evidence-based interventions in the AOD sector but services are currently under-resourced and struggling to keep up with demand. For instance, we already knew from previous studies that investment in Needle and Syringe Programs (NSPs) between 2000 and 2009 prevented nearly 97,000 Hepatitis C infections and 32,050 HIV infections – for every dollar spent on NSPs, more than $4 will be returned in savings to the health system. AIVL recently released a new report looking at ways to enhance the effectiveness of NSPs across the country to address access issues and maximise the public health benefits[ii]. NSPs remain a very cost effective way of preventing the transmission of BBVs – increasing access to NSPs should be a high priority. “Evidence-based AOD treatment is also a good investment. For every $1 invested in AOD treatment, society gains $7. However, while approximately 200,000 people receive AOD treatment in any one year in Australia, it is estimated that an additional 200,000 – 500,000 people seeking treatment are unable to access it[iii]. People don’t need to be coerced into accessing drug treatment – there just aren’t enough treatment places to meet demand. This Budget will go some way towards addressing unmet need but there’s a long way to go if we are to meet the needs of those individuals, families and communities struggling to address AOD problems. “It is also important that people entering and exiting custodial contexts are not forgotten. Ensuring access to the full suite of preventive, harm reduction measures – and ensuring that people are able to continue their engagement with AOD and BBV treatments post-release – are tangible ways that we could protect more Australians from contracting BBVs. There is a real need for a national policy to guide prisons in jurisdictions[iv]. “It would be great to see enhanced investment in these types of cost effective harm reduction and demand reduction measures as part of future federal budgets,” said Ms Walker. The Australasian Injury Prevention Network (AIPN) has welcomed the allocation of $0.9 million over three years to develop a new National Injury Prevention Strategy in the 2018-19 budget. “The current National Injury Prevention and safety Promotion Plan, 2004-2014, urgently needs to be reviewed and updated,” said AIPN President Rebecca Ivers. “With injury the leading cause of death and disability in young people and those of working age, the government cannot ignore the impact of preventable injuries on the health of the Australian population and the new budget measures are a much needed support to the relentless work of injury prevention professionals around the country,” Professor Ivers said. “The AIPN will be talking to government officials to provide input into the new Strategy. In particular we are delighted to hear that the strategy will have a whole-of-population approach and that populations with high rates of injury – including Aboriginal and Torres Strait Islander people, people at socioeconomic disadvantage, people with mental illness, and people living in remote, rural and regional locations – will be specifically addressed through the strategy,” she said. As well as the development of a new National Injury Prevention Strategy, the budget provides for the expansion of a range of injury prevention initiatives including $6.3 million over four years to sports safety; $15.5 million over five years to water and snow safety and $1.2 million to develop a suicide prevention campaign. The AIPN will continue to advocate for more support and resources towards injury prevention and provide a united voice to injury prevention professionals from all settings. The President of General Practice Registrars Australia (GPRA), Dr Melanie Smith said today that one set of initiatives in the Federal Budget 2018 is critically important for protecting the health of Australians into the future. 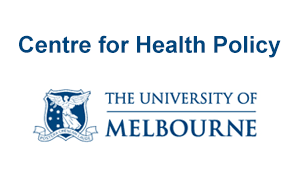 “The measures listed under ‘supporting the development of preventive health initiatives’ may not get much media attention but they will help turn the tide against unhealthy lifestyles and Australia’s escalating chronic disease burden,” said Dr Smith. “Of particular note is the intention to encourage healthy lifestyles through increased physical activity and better nutrition,” she said. “An important next step, to support this initiative, will be to develop an effective way of funding GPs to allocate time to assist patients to make critical lifestyle changes, “ she said. 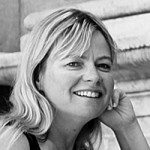 “Within this context, it is critically important that we continually review the role of GPs, and their training arrangements, if we are to ensure they are highly effective in making a contribution to reducing the burden of chronic disease in Australia and to make sure we get the maximum benefit from key measures funded in the 2018 Federal Budget,” said Dr Melanie Smith. The Federal Government’s budget firmly demonstrates a commitment to making the mental health of our nation a top priority, according to the National Mental Health Commission. The Government will invest $338.1 million over the next 4 years in a range of worthy initiatives. The Commission’s CEO, Dr Peggy Brown AO said the Commission’s annual budget increase of $3.1million will strengthen its important role to identify what’s working and what’s not in the mental health and suicide prevention systems, and to provide advice to government and the community, to achieve better outcomes for people who need mental health support. “This includes monitoring and reporting on the implementation of the Fifth National Mental Health and Suicide Prevention Plan and aspects of the National Disability Insurance Scheme (NDIS) relating to psychosocial disability,” Dr Brown said. The Commission’s Chair Lucy Brogden praised the Government’s commitment to the mental health of all Australians and noted that the mental health funding announced in the budget will enable the delivery of improved services and programs. “Older Australians in residential care will also benefit from the $82.5 million committed to ensuring that they can receive adequate mental health support when they require it. In addition, those over the age of 75 years living in the community whose mental and physical health are at risk because of social isolation and loneliness will also receive support from a $20 million mental health nurse led service . Dr Brown also commended the much needed focus on mental health research, with $125 million over 10 years going to the Million Minds Mission from the Medical Research Future Fund. “Ongoing research into the causes, prevention and treatment of mental illness is critical for reducing its prevalence and impact. This initiative will assist an additional one million people who might not otherwise be part of mental health research and clinical trials, to access new approaches to diagnosis, treatment and recovery,” Dr Brown said. “The needs of rural Australians have not been overlooked, with $20.4 million provided to the Royal Flying Doctor Service to enhance their mental health outreach services. For many Australians who are not otherwise able to access mental health care, this will be a much needed boost,” she said. The measures for mental health are positive, if not unexpected. There is a focus on suicide prevention with more money going to PHNs and the expansion of programs already in operation. The funding to Lifeline crisis support line had already been announced. Much of the funding is focused more on the crisis side of services, a pattern we are seeing in state and territory budgets as well. The inclusion of a rural health strategy is a positive; however, there is a not a strong role for the community managed mental health sector articulated and a focus on GPs and doctors. A comprehensive rural health strategy needs to include all aspects of the workforce, particularly those profession that are more likely to be the ones doing the work on the ground, which often is the community sector. CMHA have called for all parts of the sector to be included in an overall mental health workforce strategy. The most significant the inclusion for the sector is funding for Continuity of Support arrangements. The funding will go to the PHNs, however, it is unclear at this stage how this will be administered; what will be the eligibility criteria (e.g. do people have to be existing clients in PIR, PHaMs and D2DL or can they have been clients in the past); and what a continuity of support service will look like. DSS are continuing to argue people have to test their eligibility to access the support. CMHA has stated strongly and will continue to do so that people should not have to test their eligibility and that the intent of the Continuity of Support policy must be applied in that people must be provided with the same level of access to services. CMHA developed a continuity of support positions statement, which predicted that PHNs would have a role in administering this funding. The statement notes that people whether eligible for the NDIS or not will have to access one of four pools of funding – NDIS, continuity of support, the $80m from the 2017-18 budget, or the PHN flexible pool of mental health funding. People shouldn’t have to go through an expensive and stressful test of NDIS eligibility in order to access the services they need and are entitled to. Preventing access is against Australia’s obligations under the UN Convention on the Rights of People with Disability. There is also $64.3 million over four years from 2017‑18 to establish an NDIS Jobs and Market Fund which will invest in targeted initiatives to promote the development of the market for the NDIS workforce. The Fund will develop resources to assist disability service providers to take advantage of NDIS opportunities, including provider toolkits, good practice guides and service coordination platforms. We welcome this initiative; however, the key issue that remains for the community mental health sector is the loss of qualified expertise in the mental health workforce. This is an issue of safety and quality which won’t be addressed through such a measure as it is more complex than just encouraging more providers to come into the market. In fact it is about maintaining and enhancing existing expertise to be able to deliver appropriate support to complex clients. SANE Australia welcomes the Australian Government’s announcement of a $1.2m investment for a new suicide prevention campaign, led by SANE in collaboration with other leading mental health organisations. “The campaign plans to share the stories of real Australians who have survived a suicide attempt in an effort to connect those at risk with appropriate resources and support. Suicide Prevention Australia welcomes funding commitments to the health and wellbeing of older Australians alongside significant investment in core crisis support infrastructure, scaling of innovative trials in aftercare and a campaign inspired by personal stories of suicide attempt survivors. $1.2m for SANE Australia’s campaign inspired by personal stories of suicide attempt survivors. The National Oral Health Alliance (NOHA) was very disappointed with the lack of investment in the Commonwealth Budget for oral health. Spokesperson for the Alliance, Dr Chris Bourke, noted: “NOHA is very concerned with the continued refusal by the Commonwealth Government to make oral health a priority”. NOHA is also frustrated dental practitioners were specifically excluded from the Workforce Incentive Program announced in the Budget. “We also welcome greater consumer focus in the sharply increased medical research funding which will include $150.4 million over four years form the Medical Research Future Fund to support better translation of research into better patient care. ‘The substantial boost in funding for better health data in this year’s Federal Budget is a great building block for much-needed reform of the system—and the government is to be congratulated for it’, Australian Healthcare and Hospitals Association (AHHA) Chief Executive Alison Verhoeven said today. The Australian Government announced a boost of $30 million over 4 years to the Australian Institute of Health and Welfare to improve accessibility to health information and statistics, including better data sharing capability and information and communications technology upgrades. ‘As outlined in our Healthy people, healthy systems blueprint for healthcare, which we released last December, we need to reorientate our healthcare system to focus on patient outcomes and value rather than throughput and vested interests. To make things better we have to have an accurate picture of what is going on now—and we can get this through better healthcare data. ‘While the news on data is good, it’s disappointing that there have been no major announcements boosting the capacity of public hospitals to cater for what is now overwhelming demand, nor to better coordinate the two-way divide between primary care and hospital care. ‘Another critical area specified in our blueprint is moving care away from high cost hospitals where possible to patient-centred primary and community care, including disability care, aged care and mental health care services. ‘The $1.6 billion in increased funding for 14,000 additional high level home care packages by 2021–22 is therefore welcome news—however over 100,000 people are waiting, so much more needs to be done. ‘We also welcome the increased $82.5 million investment in mental health services in residential aged care facilities, and the broader mental health investments announced in this Budget. ‘Other community services have largely been overlooked, and there is no commitment in the Budget to meaningful reform of the health and community services workforce to best deliver integrated care. Investment in workforce development, particularly in rural Australia, is welcome, but this is only one part of the jigsaw. Much more needs to be done to develop a workforce that will support the needs of an ageing population. ‘In terms of modernisation of the system we also welcome the continuation of the Medicare Benefits Schedule Review process, where old treatments and procedures are being phased out in favour of those that are more effective and of better value. It is, however, a significant oversight that palliative care in general practice has not been prioritised for funding reforms. ‘The lack of any concrete action on preventive health is concerning—it has been allowed to slip down health budget priorities, despite its proven benefits in preventing big health bills later. This particularly applies to dental health, which once again has been overlooked. ‘In terms of Closing the Gap in Aboriginal and Torres Strait Islander health, we note some modest investments, including the commitment of $5 million per year for the next 3 years to address trachoma in Aboriginal communities’, Ms Verhoeven said. The Australasian College for Emergency Medicine (ACEM) urges the Federal Government to recognise the country’s emergency medicine health care needs as the demand for services dramatically increases and evolves. ACEM President Dr Simon Judkins said this message was more important than ever following announcements of investment in hospital infrastructure and record funding for hospitals across the country, contained in tonight’s budget. “While assistance to the States and Territories for public hospitals is welcome, attention needs to turn solving long-term system wide issues such as access block in emergency department — the inability to admit patients to the hospital because of inadequate bed numbers,” Dr Judkins said. “The nation’s emergency physicians care for any patient, any time. Patients are living longer and are managing more complex and chronic conditions. This is on top of the spike in patient numbers emergency departments experience when peak winter demand hits. “All this puts an increased demand on an already stretched system. “We need investments in staff to support patient’s experience of care and evidence-based solutions that are underpinned by clinical expertise – too often emergency specialists are removed from key decisions made about emergency departments. ACEM acknowledges workforce maldistribution is an issue facing all specialities including emergency medicine. “We are committed to doing our bit, and to working with stakeholders to address emergency medicine workforce needs in Australia, especially in rural, regional and remote areas,” Dr Judkins said. ACEM’s role in providing a trained workforce to provide emergency care for all populations including rural, regional and remote communities continues – through the FACEM Training Program, Emergency Medicine Certificate, Emergency Medicine Diploma, the Emergency Medicine Education and Training Program, the externally-funded Specialist Training Program and the Integrated Rural Training Pipeline. ACEM has been outspoken that that emergency departments are seeing an increasing number of patients with mental health disorders across all age groups. Earlier this year, ACEM identified the unacceptable wait times of patients with acute mental and behavioural conditions in emergency departments, and called for a new approach to mental health care in emergency departments. “Alarm bells should be ringing when people who come to the hospital in a crisis and need to be admitted, because there just are not the beds for them, they are spending extraordinary amounts of time – sometimes days – in emergency departments; I don’t think that’s something that our community would think is fair,” Dr Judkins said. Dr Judkins added that preventative measures, such as funding for Lifeline’s 24-hour telephone service, more mental health services for the elderly and initiatives for mental health nurses in rural areas, are welcomed and will hopefully increase community support for those needing mental health care. A continued focus on supporting sustainable access to new and existing high-value medicines while affirming support for public hospitals and equity of healthcare access in rural and regional Australia were welcome aspects of the 2018 Health Budget, the Society of Hospital Pharmacists of Australia (SHPA) said this evening. Chief Executive Kristin Michaels says SHPA shares the Federal Government’s vision for the Pharmaceutical Benefits Scheme (PBS) to offer maximum value to Australian patients in a sustainable manner. Ms Michaels says the 2018 Health Budget contained a vote of confidence in the public hospitals as key drivers of healthcare innovation. ‘It is positive to see $30.2bn in increased funding for public hospitals though the National Health Reform Agreement, which acknowledges their central role in providing care for our nation. Ms Michaels says SHPA also welcomes the Budget’s focus on healthcare equity in rural and regional areas. ‘By encompassing allied health professionals in the newly announced incentive scheme, this Budget adds impetus for primary healthcare settings across the country to hire a pharmacist, and include a medicines expert in their team, perhaps for the first time. The government has championed its spending measures in the Health Budget as increases in Medicare funding ($4.8 billion); public hospital funding increase of $30 billion; investment of $2.4 billion in new medicines and funding of $5 billion for aged care. • Indigenous health to receive $3.9 billion over four years. While the word ‘pain’ is non-existent in the many statements in the Health Budget pack, it does specifically include $1 million for a program aimed to assist GPs and frontline health professionals to learn more about endometriosis to enable them to better diagnose and treat the condition. The other major initiative in the Budget that will impact on people living with pain but does not specifically address the condition is a sport and physical activity initiative worth $230 million. The CEO of General Practice Registrars Australia (GPRA), Dr Andrew Gosbell said today that, although it is receiving no new funds, the continuing commitment in the Budget to supporting national health and peak advisory bodies remains a critical cornerstone for achieving a more effective health system. “GPRA has undertaken, and will continue to undertake, national quantitative and qualitative research to better understand the perceptions and circumstances of general practice registrars,” said Dr Gosbell. The central theme for the Federal Government’s 2018-19 Aged Care Budget is More Choices for a Longer Life. The major item is an additional 14,000 high-level home care packages to enable older Australians to choose to stay in their homes longer. Additionally pensioners will be able to earn more without reducing their pension and there will be greater flexibility to use home equity to increase retirement incomes. $32.8 million to improve palliative care for older Australians living in residential aged care and $5.3 million for innovations in managing dementia, and $102.5 million for mental health programs for older Australians. Australia’s leading seniors’ advocacy organisation, COTA Australia has welcomed the Federal Budget as a positive step towards preparing for and supporting an older population and capitalising on the opportunities it presents. COTA Australia Chief Executive Ian Yates said the Government’s More Choices for a Longer Life Packagewill ensure better co-ordination of services across government and more support for Australians at every stage of their life. “This is the first time we have had a full ageing package that takes a proactive approach to an ageing Australia and takes a life cycle approach that recognizes the need to prepare properly for an ageing population and support all Australians as they move through life. “The challenge now is to make sure that this is not a one off, so we will be asking the Government to commit to an Ageing Strategy that will tie the Budget measures together, monitor their progress and recommend change and expansion based on experience, making sure the momentum begun tonight carries through for all Australians as they age. “Every cent spent on supporting independence as we age, keeping people connected to the workforce and community, and on preventative health, is money saved in emergency wards, acute health care and on our already stretched aged care system. “The aged care package is a substantial implementation of the recommendations of the Tune Legislated Review and will change the face of aged care towards greater consumer control. “The injection of 20,000 high needs home packages (6,000 in MYEFO and 144,000 tonight), in addition to the growth already built into the forward estimates, will ensure more older Australians waiting for home care will receive a package over the next year and the merging of Home Care and Residential funding pools will make more Home Care Packages possible in future. “We strongly welcome the government’s in principle decision to put residential beds in the hands of consumers and funding the development of a plan to achieve this. We need a commitment to a specific date for this change at latest by next year’s Budget”. “Until then with residential care allocated to providers, not in response to consumer demand, older Australians still do not have the ability to choose their nursing home, and good providers are retrained from responding to consumer preferences. “We also strongly welcome the government’s commitment of $82 million to a new mental health program for residential care, as well as a $20 million trial of new mental health initiatives in the community, and other support services to keep people connected to community. “We also welcome increased funds for palliative care in residential aged care, where too many older people now end their life in less than ideal circumstances. “We welcome the proactive approach to an ageing Australia that takes a whole life cycle approach, which includes some very good measures to support employment opportunities for mature aged workers, particularly the employment and health checkpoint at age 45 backed up by a range of support services. “It’s good to see the government tacking the issue from a number of angles, including support for older entrepreneurs wanting to set up a small business. Investing in growing the productivity of the mature age workforce will pay big dividends over time. Increasing the Pension Work Bonus by $50 a fortnight so that retirees on the Age Pension can earn up to $300 per fortnight that’s not taken into account for the pension income test, encouraging them to supplement pension income and stay connected to the workforce. “We also welcome the measures in the Protecting your Super Packageto cap admin fees, ban exit fees, stop people having to have multiple insurance policies, and returning lost super. “We welcome additional funds for elder abuse initiatives and the Federal Government asking leadership in the development of a national framework and approach, including a national register of enduring powers of attorney. Palliative Care Australia CEO Liz Callaghan welcomes the comprehensive palliative care in aged care measure announced in today’s Federal Budget. “The $32.8 million investment into specialist palliative care support in residential aged care is welcomed and supports PCA’s call that palliative care should be core business in aged care, however this is contingent on matched funding from the states and territories. “The measure shows the Commonwealth’s commitment to ensure palliative care is included in aged care service provision, and not just end-of-life care. Like the Productivity Commission, we call on cross jurisdiction cooperation to avoid problems resulting from poor stewardship, which ultimately leads to aged care services not responding as they should to users’ palliative care needs and choices. “Australian studies have shown that when specialist palliative care services are brought into residential aged care settings, there is a reduction in unnecessary hospitalisations and an improvement in symptom and pain management. “I also am pleased to see 20,000 more high level needs home care packages to support people to live longer at home. Palliative care support must be a component of this care as many of these people would choose to receive care at home and to die in their own homes. “The Government has also announced streamlined and faster consumer assessments for all aged care services. This must enable rapid access to palliative care if required and will ensure care is received at the right time and in the right place. We only get one chance to die, so we must get it right. “The Government will introduce a performance rating for aged care service providers against the new quality standards and improve complaints processes, and put in place an approach to respond to care failures. “PCA would like to see specific palliative care quality indicators across residential and community aged care. For example, all staff need to be trained and equipped to recognise the need for appropriate end-of-life or palliative care, including appropriate pain management and the signs of approaching death. “We look forward to the Government working with us and our state and territory members to improve palliative care delivery in aged care. However we must also recognise that caring for people who are approaching and reaching the end of life at any age is everybody’s business – everybody in health, aged and social care has a role to play,” Ms Callaghan said. The Government also announced significant expansion of the National Aboriginal and Torres Strait Islander Flexible Aged Care Program, which will mean people will have greater access to culturally safe aged care services in remote Australia. “PCA welcomes support for culturally appropriate palliative care and end-of-life care provision on country, which allows access to family and community support, in addition to models of care that support culturally appropriate grief and bereavement practices,” Ms Callaghan said. The announced $102.5 million investment to support the mental health needs of older Australians is also welcomed. “The Principles for Palliative and End-of-Life Care in Residential Aged Care call for the mental health needs of consumers to be assessed, documented and met including treatment for anxiety or depression. This measure will address some of the mental health issues for chronic or serious health conditions. Grief, bereavement and spiritual support must be included in this initiative. “Among a range of measures in rural health, the Government will strengthen the role of nurses in primary health care, including greater awareness of the role and skills of nurse practitioners, who are integral to the delivery of specialist palliative care. “PCA looks forward to the release of the National Palliative Care Strategy later this year and its implementation plan. The ‘comprehensive palliative care in aged care measure’ is a start to the required reform and investment needed in palliative care to ensure that every Australian is able to live and die well,” Ms Callaghan said. The Australian Nursing and Midwifery Federation The Australian Nursing and Midwifery Federation (ANMF) has welcomed aged care funding in the 2018/19 Federal Budget for additional home care packages, but says this will not fix the crisis in aged care and is disappointed that, once again, the Government has failed to address the urgent need for safe staffing in nursing homes. The ANMF’s A/Federal Secretary, Annie Butler, said with over 100,000 elderly Australians on high-priority waiting lists for home care packages, (almost 80% of them higher level three and four care packages) funding to meet the ever-growing demand for in-home aged care services was long-overdue. “It’s simply unacceptable that waiting lists have blown out to this point, with thousands and thousands of people waiting more than a year for the care services they need to remain in their home,” Ms Butler said. “Our members are pleased the Government has allocated funding into additional home care packages and palliative care services, but they know that this will do nothing to ensure safe and timely care for elderly Australians already in residential care, and those who will need it soon, because the Government has done nothing to ensure that aged care providers are employing enough nurses and carers. “We know that from 2003 to 2016, there’s been a 13% reduction in qualified nursing staff working full-time in aged care while over the same period there’s been a 400% increase in preventable deaths in nursing homes. “This chronic staffing crisis has led to dangerous workloads for nurses and carers resulting, too often, in missed care for vulnerable nursing home residents, yet the Government is still not prepared to guarantee safe staffing levels in residential aged care. “We also know that the only way to guarantee safe staffing levels in aged care is to tie Government funding to the provision of care. And the best way to achieve this is through mandated minimum staff ratios. “Last week, the ANMF released a comprehensive report, prepared by the Tax Justice Network, which shows that the six largest for-profit providers, some foreign entities, are benefitting from $2.17 Billion in Government subsidies, yet paying little or no tax – at the expense of residents. “If the Government is serious about ensuring quality service provision, it needs to shift its focus from company tax cuts to company tax collection by closing the loopholes that allow large for-profit companies to profit from taxpayers’ money. The ANMF also welcomed Budget funding for capital works for aged care providers in rural, regional and remote areas; dementia and mental health programs for older Australians. New funding to attract more doctors to country areas has been welcomed by the National Rural Health Alliance, Australia’s peak body for rural and remote health. “We are pleased tonight’s Federal Budget allocates $550 million over 10 years to help fill the health workforce gaps that exist in so many parts of country Australia,” said Alliance CEO Mark Diamond. The government says it will deliver 3,000 new specialist GPs, and 3,000 additional nurses over ten years mainly through providing end to end training in country areas. “It’s not only doctors and nurses that are missing outside major cities. Equally there are not enough allied health professionals. Some areas have no psychologists, no physiotherapists, no occupational therapists,” Mr Diamond said. A new Workforce Incentive Program will provide some funds to general practices to employ more nurses, doctors and, for the first time, allied health workers. “It’s the first step in increasing the very low numbers of allied health workers in rural and remote areas,” Mr Diamond said. There was a very small increase in funding for Indigenous health. From $3.6 billion allocated last year, the new figure has crept forward to $3.9 billion. But half of that increase is CPI indexing. There is new funding of $105.7 million dollars to provide culturally appropriate aged care services in remote communities, through the existing Flexible Aged Care program. There is also $35 million to fund a new MBS item covering delivery of dialysis by health workers in remote areas. The National Rural Health Alliance represents 34 national rural health groups including the Royal Flying Doctor Service, Country Women’s Association and National Aboriginal Community Controlled Health Organisation (NACCHO). “We congratulate the Royal Flying Doctor Service for winning $84 million in extra funding for operational support, including $20.4 million for new mental health services,” said Mr Diamond. “Overall the Budget allocated an extra $338.1 million in mental health funding. Suicide prevention is a key focus. Particular mention was made of men over 85 years old having the highest risk of suicide, with $82.5 million earmarked for psychological services in residential aged care. Previously residents have not had access to government supported psych services,” Mr Diamond said. ”While announcing some solid initiatives, tonight’s Budget funding for rural health is not enough,” said Mr Diamond. Budget announcements providing more doctors, nurses, and allied health professionals in rural and remote Australia will lead to improved health service access. The new measures, in addition to $327 million in funding for Royal Flying Doctor Service (RFDS) programs over the next four years, is a needed boost for rural health outcomes. RFDS CEO Dr Martin Laverty said “The Budget delivered on the Prime Minister’s pledge of $327 million for RFDS medical, nursing, dental, and mental health programs. Dr Laverty also commended Rural Health Minister Bridget McKenzie’s efforts to improve health workforce distribution across rural and remote Australia. “Government has been working with communities and health service providers to improve teaching, training, and recruitment of health staff to underserved country areas. Minister McKenzie’s Rural Health Strategy lays out the building blocks for improvement in health workforce numbers in areas where they are needed the most. The ability to track over and under supply of health workforce geographically has been an impediment to proper use of incentives to encourage staff to where they are needed. “The new health workforce tracking capacity will better inform decisions on where incentives are going to deliver the best bang for buck,” Dr Laverty said. The Rural Doctors Association of Australia (RDAA) says the Federal Government has delivered for rural health this Budget, with a Stronger Rural Health Strategy worth $550 million being announced. RDAA President, Dr Adam Coltzau, said the Budget includes a wide range of initiatives that will make a real difference to the health workforce in rural Australia and the many rural and remote communities it serves. 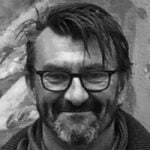 “This is the rural health Budget that RDAA has been waiting for” Dr Coltzau said. “There are not just one or two initiatives here – this is a multi-pronged approach to supporting improved medical workforce distribution to rural and remote Australia. “The Budget includes a range of supports for medical students, junior doctors, registrars and senior doctors, which will deliver the right doctors with the right skills to meet community needs into the future. “We welcome the expansion of Australian-trained junior doctor rotations in supervised rural primary care settings, as part of the Junior Doctor Training Program. “We have been advocating strongly for increased junior doctor rotations with supervision as they are an excellent recruitment mechanism for future rural doctors. “These rotations provide a great opportunity for junior doctors to get a feel for rural medicine in a supported environment, and the expansion of this program will see an increase from the current 240 rural rotations to over 1,000 once it is fully implemented. “This is great news for rural communities and we commend the Government for committing to this program. “There will also be an additional 100 Rural Generalist training positions to commence in 2021, and we believe this demonstrates a commitment to the National Rural Generalist Pathway. “We have been a major supporter of this Pathway, and see it as a critical initiative if we are to ensure the next generation of rural doctors have the right skills to meet their local community needs. Rural Medical Schools have been a contentious issue in the lead-up to the Budget, however RDAA is now satisfied that the Government has made enough commitments for junior doctor training in the post-university years that it can now support the additional Rural Medical School programs announced in this Budget. “We thank the Government for listening to our call to only progress a rural medical school announcement if there was also investment in, and a commitment to, increasing rural junior doctor positions” Dr Coltzau said. supports for rural practices in MM3-7 locations to employ nurses and allied health staff, including non-dispensing pharmacists. “RDAA will work with the Government and Department of Health on the various initiatives to ensure the detail and implementation align with the needs of rural communities across Australia,” Dr Coltzau said. “The National Rural Health Commissioner will also play an important role in ‘rural proofing’ the health budget initiatives. “Finally, while the impact of the Medicare freeze on rural general practice will continue to be felt for a number of years to come, we welcome the next stage of the lifting of the freeze which will see GP consultation item numbers re-indexed from 1 July 2018. The Australian College of Rural and Remote Medicine (ACRRM) has noted the strong package offered to support access to safe and affordable medical care in rural and remote Australia in this 2018 budget. ACRRM President Associate Professor Ruth Stewart said: “This package addresses each step in the training pathway that produces doctors with the confidence and competence to be a pivotal part of the health care team in rural and remote communities. The College is broadly supportive of the changes in legislation and funding signalled in this budget. “These items aim to set Australia on a path to a future where rural and remote community members will know that the doctors who care for them are trained to the highest standards,” she said. The College supports a commitment to increase opportunities for junior doctors who want to try rural practice. “Increasing the opportunities for junior doctors to work in the community under supervision is a welcome change and should give junior doctors a good “taste and see” experience,” said A/Prof Stewart. We are also very pleased to see that this budget strengthens incentives for doctors living and working in underserved areas of Australia to undertake and complete training for General Practice. “Australians should have access to first rate health care wherever they live. We look forward to supporting more doctors to train for rural and remote practice and are delighted to hear Minister McKenzie’s assurances of resource support for the National Rural Generalist Program,” said A/Prof Stewart. “We know that equipping doctors with the skills and experience to work rurally increases the recruitment and retention of doctors in rural and remote communities. 74% of doctors with a Fellowship of ACRRM are still working in rural and remote communities 5 years after Fellowing. “It is really important for Australia to address our responsibilities to our rural and remote communities and to the international community. “For the past twenty odd years, International Medical Graduates arriving in Australia have been mandated to go to rural and remote communities to provide the care that these communities need. “They continue to be a very important part of our health teams and should be thanked and recognised as such, but Australia should no longer be draining doctors from developing countries to meet our needs when their need is greater. Some of the highlights of this budget for the College and its members are the items that will help recruit and retain the right health care professionals, with the right training, to rural and remote communities. “The changes to legislation for rural bonded medical education programs will benefit rural communities and give equity and reassurance to doctors in training,” said A/Prof Stewart. “In addition, bulk billing incentives will now be focused on areas where the need in health care outcomes, in socio economic status, and in access to health care is greatest. The College will be taking time in the coming days to consider the finer details of the whole budget, and will release subsequent statements regarding items of importance. The AMA welcomes the Budget announcement of a range of initiatives to improve access to health services for rural and regional Australians. Australia’s peak body for rural general practice, the Royal Australian College of General Practitioners says patients in regional and rural communities will have better access to healthcare with vital investment announced in the 2018 Budget. Chair of RACGP Rural, Dr Ayman Shenouda welcomed the Federal Government’s support of rural specialist GPs and commitment to improving the health of Australians living in rural and remote communities. “The Federal Government has committed to rural health in this Budget, with a Stronger Rural Health Strategy worth $550 million, to be delivered over the next 10 years,” Dr Shenouda said. “RACGP Rural welcomes this investment to attract more doctors to rural and remote areas. Dr Shenouda commended the government for its comprehensive approach, saying it would improve medical workforce distribution to rural and remote Australia. “The Government has demonstrated its commitment to addressing the challenge of ensuring Australia has the right mix of health professionals to deliver high quality healthcare to those in need, particularly those in rural and regional areas,” Dr Shenouda said. “This will ensure people living in rural, regional and remote Australia have better access to health services. AMSA Rural Health welcomes the rural health workforce measures outlined in the 2018-19 Federal Budget, but meets the announcement of a new medical school network with cautious optimism. The $83.3M Stronger Rural Health Strategy to address access to medical care by rural and regional Australians is an important step towards health equity in rural and regional Australia. The announcement of the Murray Darling Medical School Network, accompanied by $95.4M in funding, represents a welcome focus on rural medical education. However, AMSA Rural questions what the network means for overall medical student numbers, and the impact it will have on rural health workforce shortages. “While there will be no new Commonwealth Supported Places (CSPs), the inclusion of two more universities within the network – Charles Sturt and La Trobe – means the existing universities will replace redistributed places with full fee paying places. We are concerned the introduction of a new school in Orange that has been allocated 30 of the existing CSP will open the door to future increases in student numbers,” said AMSA Rural Co-Chair Nic Batten. “The overall number of medical students will increase as these universities will replace lost income by recruiting more international students, which will only worsen the oversupply of medical graduates and bottlenecks in further training,” said AMSA Rural Co-Chair, Gaby Bolton. “In Victoria alone there will be 100 more graduating doctors than internship places for 2019, and most of those missing out will be Australian trained international students. It is unethical to continue to encourage international students to study in Australia if they will be unable to work here as doctors after graduation – this loophole must be closed,” said Ms Bolton. All sites in the network – Bendigo, Albury-Wodonga, Shepparton, Wagga Wagga, Orange, and Dubbo – already teach medical students within Rural Clinical Schools. However, the funds for the network will allow expansion of existing infrastructure to enable end-to-end rural medical school training. 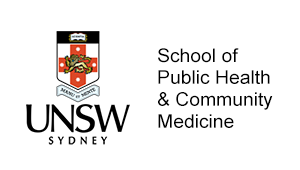 “We hope that the network model translates into more doctors committed to rural practice, and that the university partnerships involved will enable greater recruitment of and support for students of rural background to study medicine,” said Ms Batten. “Whilst we welcome the network model over a large new stand-alone medical school, these funds could be better spent in addressing the issue of too few vocational training spots for doctors who want to work, train and live in rural and regional areas, and are currently forced to return to metro areas to complete specialty training,” said Ms Batten. The Junior Doctor Training Program, which includes an increase of 300 rural places for junior doctors, represents the beginning of a clear pathway for rural practice. Details, including a possible expansion of internship rotations in rural general practice, are yet to be outlined. “For medical students wanting to practice in rural areas, and particularly those who aim for careers in rural generalism, this is an invaluable program”, said AMSA Rural Co-Chair, Gaby Bolton. “PGY1-3 is where many doctors who have trained in Rural Clinical Schools are lost to metro hospitals. This initiative will help stem this barrier to rural practice,” said AMSA Rural Co-Chair, Nic Batten. AMSA Rural is pleased to see commitment to the National Rural Generalist Pathway with 100 additional vocational training places to be administered by Australian GP Training (AGPT), beginning in 2021. This comes off the back of a historical agreement between RACGP and ACRRM earlier in the year, facilitated by the Rural Health Commissioner Professor Paul Worley. “We are excited to see this measure devoted to addressing rural training pathways. Many of our members are keen to work in this area, so this is will be a great step to increase the number of rural doctors,” said AMSA Rural Co-Chair, Gaby Bolton. “While we would have liked to see more funding towards the National Rural Generalist Pathway, this is an important move towards increasing the number of rural GPs, and recognises the special skill-set required of doctors working in rural and remote areas,” said AMSA Rural Co-Chair Nic Batten. In comparison to funding for rural generalism training places, no announcement was made of an expansion of the Specialty Training Program. AMSA Rural hopes the release of further information after the Budget will include support for specialty training within the Regional Training Hubs. “Access to further rural opportunities for specialty training is key to retention of these doctors in rural and regional areas. This will help to address the maldistribution of certain specialities as well as provide necessary additional specialty training places,” said AMSA Rural Co-Chair Nic Batten. AMSA Rural Health welcomes the changes relating to rural bonding contracts. “The return of service obligations have not been fulfilled by many rural bonding contract holders, and have only damaged perceptions of living and working within rural communities,” said AMSA Rural Co-Chair Nic Batten. “Bonding contracts have not been administered in a way which encourages doctors to fulfill their obligations to work in a rural location,” said AMSA Rural Co-Chair, Gaby Bolton. “The changes announced in the Budget will provide a flexibility around training that will encourage more doctors to complete their return of service and work in a rural location,” said Ms Bolton. AMSA Rural enthusiastically supports the changes to rural bonding and the opportunities presented by the Junior Doctor Training Program and the National Rural Generalist Pathway. Whilst the MDMS network may represent an expensive mis-step in addressing rural health workforce shortages, with funds better spent on rural Specialty Training Places, the announcement of better targeting, monitoring and planning for future rural workforce need is encouraging. Overall, AMSA Rural welcomes the government’s renewed focus on health equity for rural and regional communities and looks forward to hearing more details of the Stronger Rural Health Strategy. The Federal Budget sees the Turnbull Government confirm its commitment to the National Disability Insurance Scheme with $43 billion funding secured over the forward estimates period. Dr Ken Baker, Chief Executive of National Disability Services, said: “The disability community was taken aback two weeks ago when the Treasurer announced the decision to scrap the proposed increase to the Medicare levy to fully fund the NDIS. Our message to the government was clear: tell us your alternative plan to ensure the NDIS’s funding into the future is beyond doubt. “In tonight’s budget the government has been true to its word in finding another way to fund the NDIS. This scheme is too important to hundreds of thousands of Australians not to be fully funded – and it’s clear the government agrees. Dr Baker said the Government must now turn its attention to fixing implementation problems with the scheme, including improving the quality of NDIS plans and processes and ensuring that the disability service sector is sustainable and is able to invest in growth to meet the need for services. “The Budget’s announcement of $64 million over three years to establish an NDIS Jobs and Market Fund is welcome and will assist the sector. However, disability service organisations will not invest in growth unless they are confident that the fundamentals of the scheme are working well – including that NDIS pricing is right – and that is not the case at present,” said Dr Baker. An evaluation of the NDIS released last week found that while many people with disability had benefited from the NDIS, too many Australians with disability feel worse off. Dr Ken Baker said: “It is very concerning that some people with disability feel worse off as a result of the NDIS. 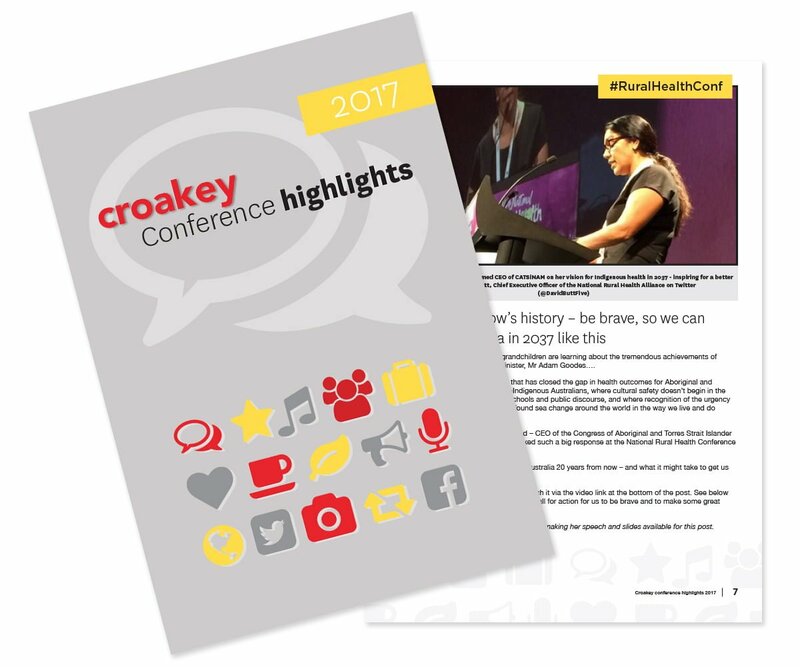 The NDIS is founded on great principles, but translating those principles into practice has proved challenging. Too many people who are in the NDIS find the system confusing, there is too much paperwork, and many not-for-profit disability organisations are struggling to provide NDIS services and remain financially viable. Significant investment in new medical research missions from the 2018-19 budget ensures Australia’s ability to delivery best health, social and economic outcomes. Continued commitment to the Medical Research Future Fund (MRFF) will ensure Australia remains a world leader in medical research. Multiple funding boosts from the MRFF are being used to innovative medical research fields, including genomics and precision medicine, allowing Australia to be at the forefront of turning new discoveries into the next generation of advanced patient treatments. Other key areas will also receive funding boosts including mental health, brain cancer, rare cancers, diabetes, and heart disease. “This is a great Budget for medical research, and this is where the Australian medical research sector should be heading.” said Professor Tony Cunningham AO, President of the Association of Australian Medical Research Institutes (AAMRI). The announcement will ensure better health and social outcomes for Australians, including reducing healthcare expenditure and creating thousands of new high value jobs. The MRFF is set to reach $20 billion by 2020-21, and Professor Cunningham congratulated the Government on continuing to deliver on this promise. AAMRI is looking forward to seeing competitive processes put in place to ensure the best value for money can be gained from this new investment. Also announced in the budget was funding for the National Research Infrastructure Plan. Nearly $400M has been committed for the next four years, and close to $2 billion over the next decade to fund a Research Infrastructure Investment Plan. This will ensure in the coming decade that Australia will maintain its position as a global leader in medical research. The Medical Technology Association of Australia (MTAA), the peak industry body welcomed the decision in the Budget to recognise the importance of clinical trials and research and development. The decision to exclude R&D expenditure on clinical trials towards the $4 million refundable R&D tax offsets is been something the medical technology research community has been calling on. At the heart of the medical devices industry is 17,700 dedicated professionals, committed to making a positive difference to patients’ lives through medical technology. Further, MTAA welcomes the additional $6 billion for Australia’s health and medical research sector, including $3.5 billion for the National Health and Medical Research Council, $2 billion in disbursements from the Medical Research Future Fund (MRFF) and $500 million from the Biomedical Translation Fund. $1.3 billion over 10 years from 2017-18 for a National Health and Medical Industry Growth Plan to improve health outcomes and develop Australia as a global destination for medical sector jobs, research and clinical trials. 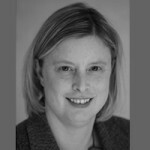 “The announcement to carve out clinical trials from R&D expenditure is something the sector has been calling on. “We’re pleased the Government understood the longer timeframes, due to significant scientific and regulatory hurdles to reach market and the higher expenditure on R&D, particularly in later stages with activities like clinical trials. 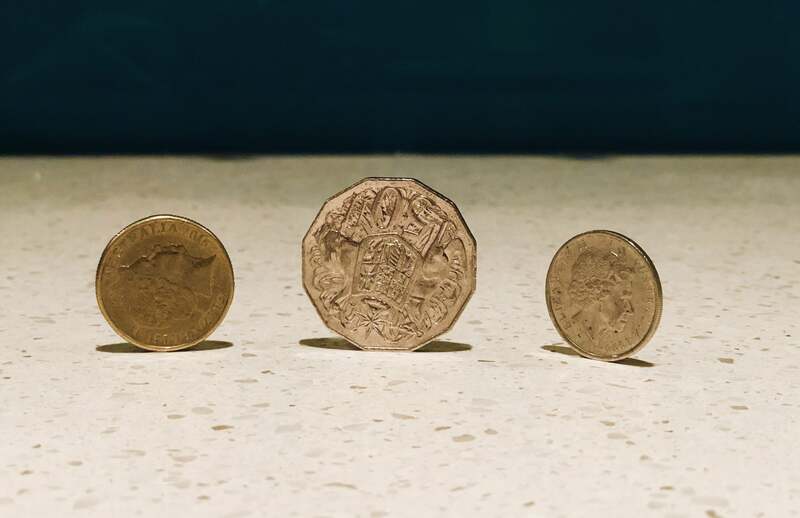 “Australian clinical trials industry is estimated to be worth $1 billion to the economy with the number involving medical devices having increased from 119 to over 160 in just three years. 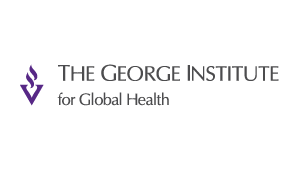 “Global advances in medical technology over the past 20 years have resulted in a 56% reduction in hospital stays, 25% decline in disability rates, 16% decline in annual mortality and increased life expectancy of approximately 3.2 years.